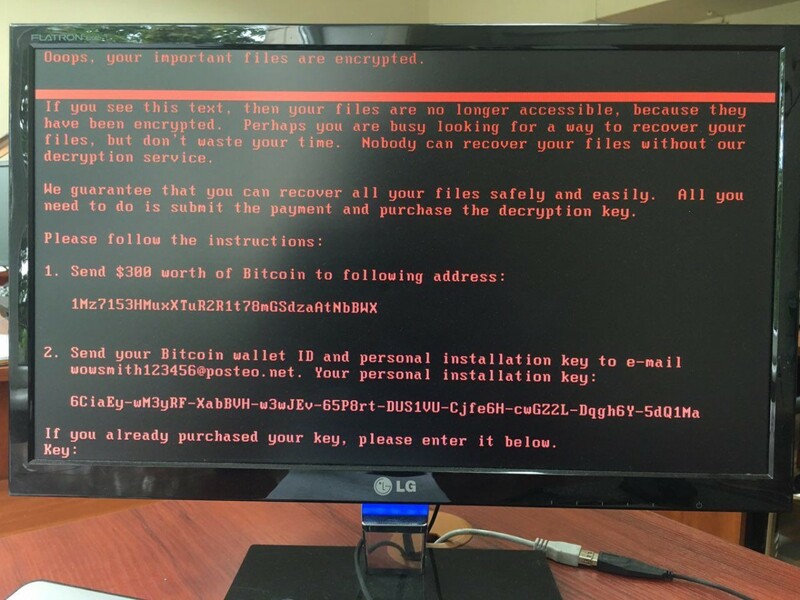 Thousands of computers around the globe have been hit by a new ransomware called Petya. Similar to WannaCry, the new ransomware is using the Ethernal Blue exploit as one of it mean to propagate itself inside network. After infecting the computers, victims are asked to pay $300 in bitcoins to regain access to their machine. Several high profile firms have already been affected by the new ransomware. In Ukraine, the Ukraine’s central bank, the Kiev Boryspil Airport, Ukrenego electricity supplier, municipal metro, and state telecom have been attacked. The international logistics company MAERSK has announced on its twitter account it has fallen victim of Petya ransomware. Researchers from Hacker Fantastic have noticed that the encryption process takes place after the infected windows device is rebooted. If devices are not powered on again, files will not be encrypted.